oh, wow! 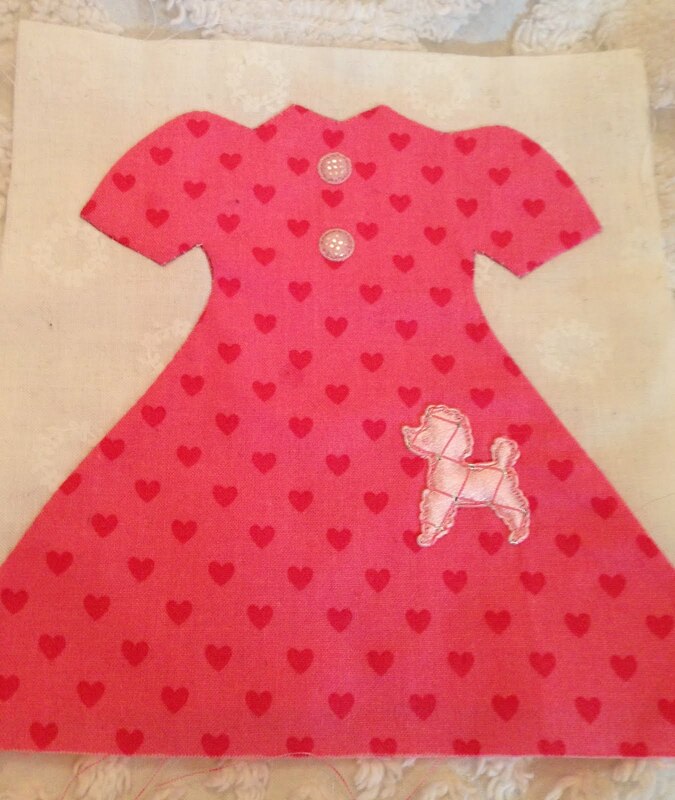 this little dress is just too dawgone cute! so sweet! you had me at "little dresses." and those faux buttons are genius! I know what dress pattern you adapted. teehee! This one is adorable, Nanette. The faux buttons are so stinking cute - how are you keeping them in place? I can't wait to see what you're making. These are so fun Nanette! I love dresses too and the buttons are perfect... It goes along with Pam's button card print:) this quilt will be adorable. You always find the cutest things! Love those padded gingham buttons. They are so Nanette! They are so sweet Nanette. I'm enjoying following you on this project. So fun! Can't wait to see if all finished. Yikes, those are cute. Much as I love real buttons, I think those soft ones make a lot of sense here. How sweet; it reminds me of dresses when I was a little girl. It is amazing that someone is making little fabric buttons like that. Fashion design or quilting? Cute! What fabulous blocks, can't wait to see the finished quilt. Love the fabrics too! So cute!! I can tell this quilt is going to be off the charts adorable!! SO sweet! Just love them. Adorable dresses and cutest buttons! Beautiful blocks, Nanette! I love your unique touches to your quilts with appliqué. You had me at "buttons"!!! Love this! 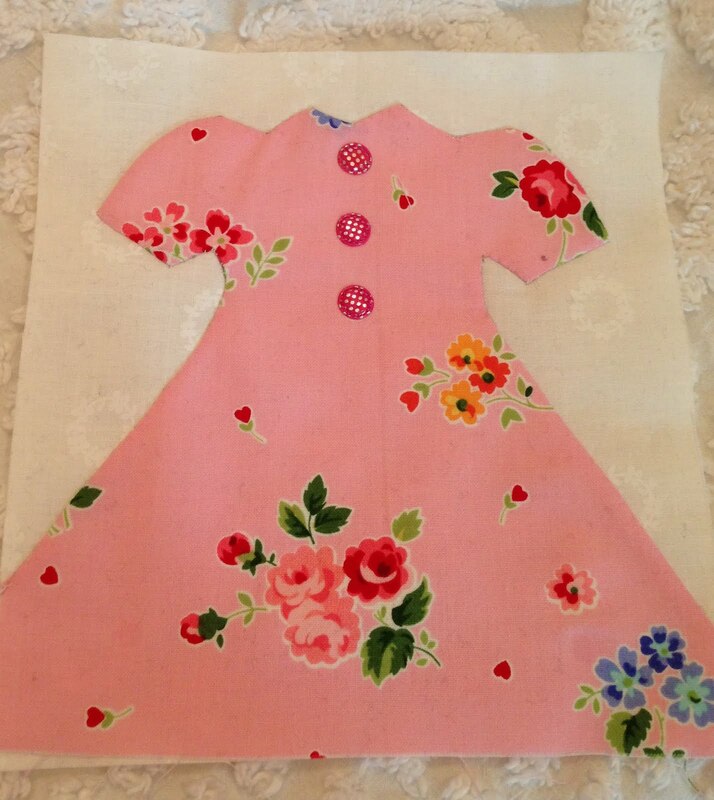 I love the dress pattern, it is sew vintagy! I love the little dresses. The one in the pink floral is just too sweet! This is going to be too cute Nanette -- it looks like you're making good progress! Nanette, they are gorgeous! I love your attention to detail. it makes all the difference!